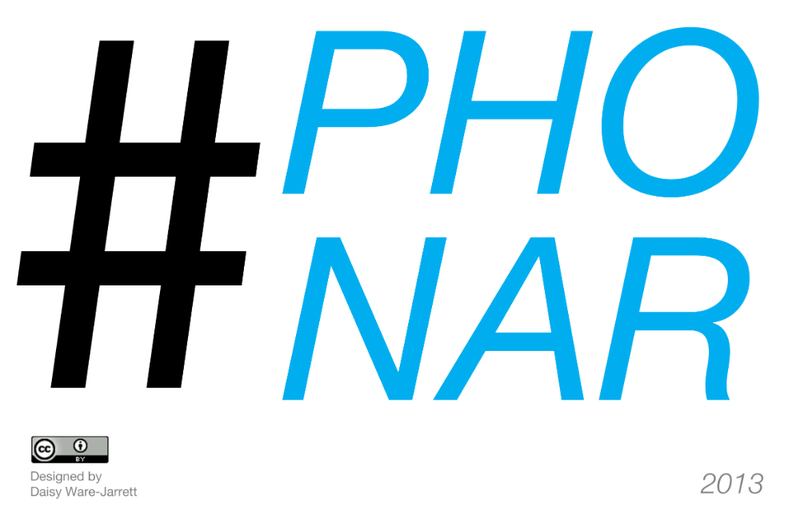 Phonar, an abbreviation of PHOtography and NARrative, is an in-person course at Coventry University in the UK and an open online course for as many as 35,000 participants around the world who co-create learning communities through a variety of media including blogs and a blog hub, Twitter (using the #phonar hashtag), and a Google+ community. The class grew out two forces that were created by the advent of digital media and global networks: (1) the problem of how to monetize cultural products such as photographs now that they can be so easily reproduced and distributed; and (2) the phenomenon of open, connected, hybrid courses that take place simultaneously online and in a physical classroom. In Phonar, the subject matter of photography as a vehicle for transmedia storytelling meshes with — and mutually amplifies — the networked forums through which students and instructor communicate. You don’t need a learning management system or virtual learning environment to run an open class. Facebook, Twitter, and WordPress are awesome at being Facebook, Twitter, and WordPress, so spend your money on something else. There’s a benefit of going where the fish are already swimming online. Become agile, move around from medium to medium because that’s what the learners are doing. Don’t try to change people’s existing behavior. For each thing you do, think about how it could be a barrier to entry, and how to lower it – culturally, academically, geographically, linguistically. Tapping into networks requires opening up to networks — when you enable other networks to access your work, you enable them to spread the word, answer queries, and respond to calls for participation. Jonathan Worth is a professional photographer whose work has been published in The New York Times, The Guardian, and Vogue, among others, and has been commissioned by clients including Levis and Sony. The idea that became Phonar started to evolve when Worth was asked to teach a photography class at a point in his own career when he was trying to deal with the transformation in the photography profession that digital media were instigating. The question that drove Worth to seek out others who were attempting to make a living with cultural products was “how to develop a sustainable professional practice now that digital reproduction separates the physicality of photographs from their content, and digital networks make that content potentially available to everybody in the world at no cost and no profit to the photographer.” Worth notes that his thinking was most strongly influenced by someone who wasn’t a photographer — the science fiction writer Cory Doctorow, who gives away free Creative Commons licensed versions of his books online and still manages to sell healthy numbers of copies of the paper version. Worth photographed Doctorow for a magazine assignment, and when he got to know him, Worth decided to experiment with Doctorow’s strategy: The free copies Doctorow gives away serve as no-cost marketing vehicles for the ones his publishers sell. Obscurity, Doctorow claims, is far more threatening to writers like him than piracy. “It’s difficult to monetize celebrity, but no one has worked out how to monetize obscurity,” is how Worth paraphrases Doctorow. Most writers and photographers would love to become well-known enough for large numbers of people to download copies of their work. Doctorow argues that the digital copies he has deliberately given away for free have multiplied sales of the paper edition by people who were already Doctorow fans, and other free copies brought Doctorow’s writing to the attention of entirely new populations of readers. Phonar grew from an online/in-person course (Worth and his Phonar successor, Matt Johnston, call it an “OUCH” for “Open Undergraduate Course Hybrid”) on “picturing the body,” which ended up being shortened to “Picbod.” Worth credits Jonathan Shaw and Shaun Hides for encouraging his first forays into open learning and Coventry University and “taking a gamble on me.” Johnston, also a photographer and editor, assisted with Picbod and then took it over when Worth started devoting himself to Phonar. Although Worth had not built it into the course, the first cohort of Picbod students spontaneously decided to mount an exhibition of their own: “We had all these people joining the class online who were submitting pictures from all over the world. Very few of them were practicing photographers at that point. They were architects, librarians, undergraduates, musicians, printers, chicken farmers – a bunch of different people.” They were all pitching and sharing images, then the Picbod community decided to “show what they could do that an iPhone photographer couldn’t.” The community of learners was taking ownership of their co-learning because Worth gave them the tools, freedom, guidance, and encouragement to do so. When Worth decided to take on the broad subject of photography as a storytelling medium in a digital age, he didn’t recruit accomplished participants for Phonar’s online network, or even look for the best photographers. Instead, he actively sought photographers who were engaged, passionate, and committed, no matter what their experience. Whether they were interested in car photography, wedding photography, landscapes, photojournalism, or animals didn’t matter as long as the subject matter of their photography personally mattered to them. The narrative assignments are broad enough for everybody to apply it to their interests. “The key is that they are passionately interested in their subject. That kind of interest is at the heart of the Phonar course.” Phonar challenges photographers to move from their traditional perspective of telling a story from just their point of view to curating and contextualizing the work of others, as well, to engage with networks and digital distribution, and grapple with the creative and professional problems and opportunities these new, technology-driven phenomena represent. Tapping into networks, the Picbod and Phonar participants learned, requires one to open up to networks. “Peer” implies some degree of mutual trust and reciprocity. One online hub draws together related contributions, no matter where they come from, through tags and hashtags. The hub links contributions to their owners’ blogs, where comments can begin to weave relationships and interconnected subcommunities. There is a commons, but it acts as a connector between individuals and the subcommunities they grow when they click on links, look at each other’s work, comment on each other. Without peer feedback, it wouldn’t be possible for any reasonable number of instructors to comment on every learner’s work. Nor would it likely be as attractive to participants as it has proved to be. The number of people who show up for Phonar is evidence that many others are interested in the questions Jonathan Worth has been asking about developing a sustainable professional photography practice in the digital age. Worth noted that one guest-lecturer flew from Portland, Oregon to the UK to deliver a class because he thought what Phonar was doing was valuable. People in the class have what Worth calls “bonding moments” when they begin to converse with each other about their shared inquiries. The best courses in physical classrooms engender co-learning communities, but traditional curriculum does not afford continuing communication among co-learners when the course is over. Online, co-learning subcommunities have many ways to stay in touch. The individual blogs and their comment threads, Tweetchats, and other conversations among Phonar participants continue in multiple forms, even when the Coventry class isn’t in session and activity in the hub is suspended. Weaving the lectures, tasks, and tools into a coherent course is itself a shared purpose. Worth definitely provides structure, and lectures are part of the mix, but a great deal of the fuel for participants’ enthusiasm is the co-responsibility for making observations about photographs, encounters with photographers into a coherent whole. Photo credits: WorldPhoto.org, Phonar.covmedia.co.uk, cogdog on Flickr, statedmag.com, and cuphotography.org. Originally posted to ConnectedLearning.tv on June 5, 2015.